The Purobio Blending Eyeshadow Brush is the essential accessory to blend your eyeshadows with precision. Its ultra-soft synthetic hairball shape naturally blurs your eyeshadows. With this brush, it is possible to create very light shadows while adding depth to your look. Perfect for the application of powder products, eyeshadows, sunscreens and correctors. 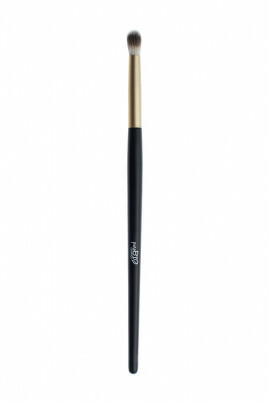 The essential Purobio Eye Blending Brush n°8 for smokey eyes! After applying your Purobio Eye Shadow, use the Blending Brush to blur any harsh line and give dimension to your eyes.